Sadie seems like the place to be these days for cocktail events. 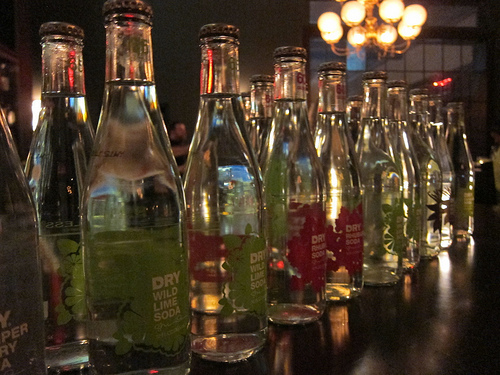 I recently was invited to a DRY Soda event to learn more about the all natural soda. Since DRY Soda has less sugar, it’s the perfect mixer for those who like high balls. Sadie’s Beverage Director Giovanni Martinez gave his spin on DRY Soda with a bit more flair. 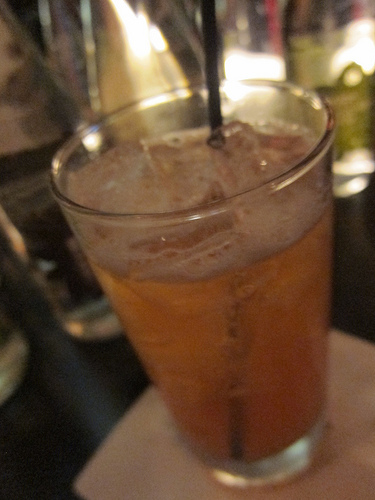 We started with the Rue & Barb (Rhubarb DRY Soda, Lillet Rose, strawberry, lemon). I liked the tangy flavors and it’s a good opening cocktail to rev up your appetite. Our next cocktail was Lavande (Lavender DRY soda, Scotch, honey, lemon, absinthe spray). This was my favorite of the evening. Sometimes lavender can be hit or miss with me in food and drinks. While I love the smell (it reminds me of my Grandfather and his love of Yardley’s English Lavender soap), I don’t want my food or drinks to taste like soap. Instead of soapy, Giovanni’s cocktail was perfectly balanced, herbal and sweet. 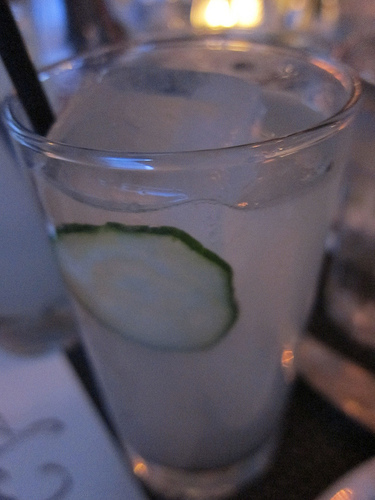 Gin has always paired well with cucumber. 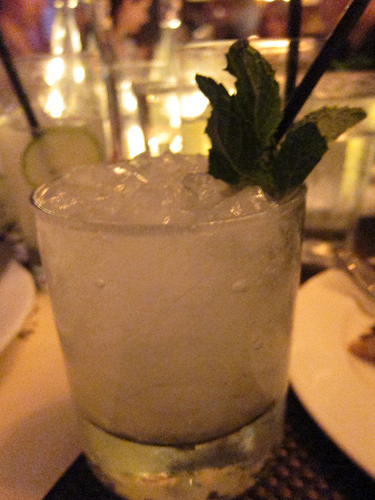 For DRY Soda’s Cucumber, Giovanni added Old Tom gin, lime and simple syrup to make the Piccadilly. This was a refreshing cocktail and would be very simple to recreate. 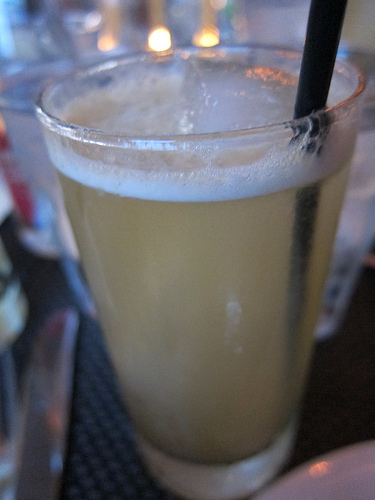 I also really liked the Machu Picchu, a drink with DRY Soda’s Wild Lime, pisco, mint, falernum and lime. Now I’m wondering how I’m going to mix the sodas I have. I’m very interested in whether the Juniper Berry soda would go with the gin (too much juniper?) or maybe add some Fernet Branca with the Vanilla Bean soda. And then there’s Blood Orange soda. What would you make with it? This entry was posted in alcohol education, alcohol tasting, bar stories, bars, bartenders, cocktails, hot bartenders, la, la cocktails, los angeles, the minty and tagged absinthe, blood orange, cocktail r&d, cocktails, cucumber, dry soda, gin, giovanni martinez, hollywood, juniper berry, lavender, lillet rose, pisco, rhubarb, sadie restaurant, scotch, soda, vanilla bean, wild lime. Bookmark the permalink.